I often spend a bit time with reading and test new software. Oracle Database 12c is out. That's a good idea for learning. I believe like that. I found people talk about Oracle Multitenant (Pluggable Database) and I know a little bit about it. I plan to write Pluggable Databases with thai language on Blog. Yes, not yet. 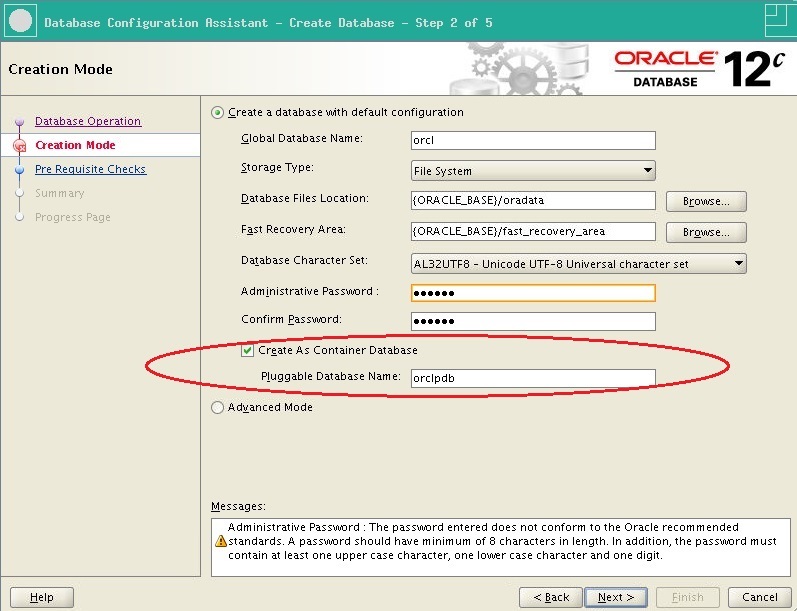 As Oracle Multitenant, How to manage it? Which tools? 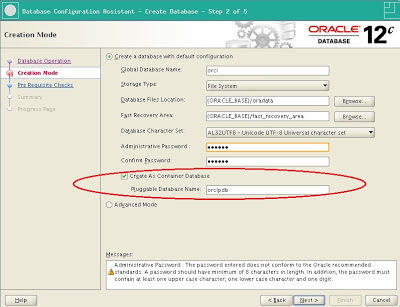 SQL*Plus, Oracle Enterprise Manager Cloud Control (Cloud Control) and Oracle Database Configuration Assistant (DBCA). How about EM12c Express? Forgot it. It doesn't support Oracle Multitenant. 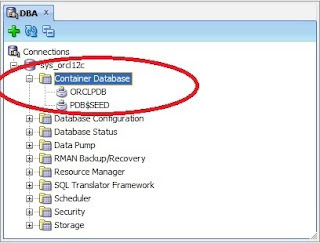 If you create database 12c as Container Database + EM12c Express. On EM12c Express page - Check "Storage", You will not see "Tablespaces" menu. Anyway, You might get some error in alert log. After creating 12c database as Container Database (+ EM12c Express). 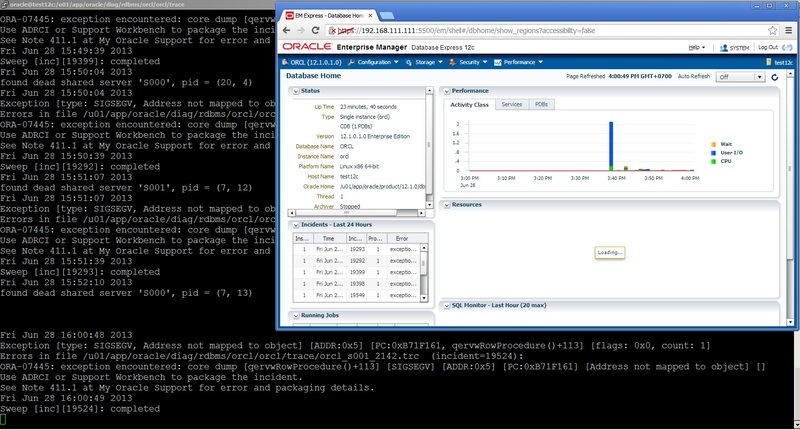 and then tested Login EM12c Express. Oops! Note: I definitely believe EM12c Express not support Oracle Multitenant Management. I think It's all right. 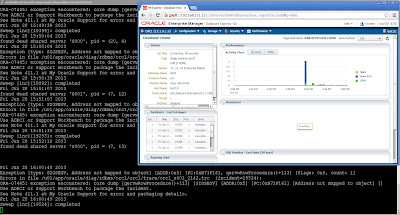 Disabled EM12c Express and use another tool to manage it. 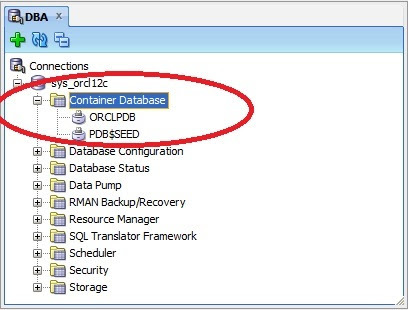 In work case, Open SR.
By the way, I tested EM12c Express with NON Container Database. It's all right and Perfect!